The Vista Compact Remote Bay has been designed for users seeking a slave or secondary desk to work in parallel with their Vista console. Typical applications are theatre or live sound installations where it is desired to control the sound balance from the auditorium. 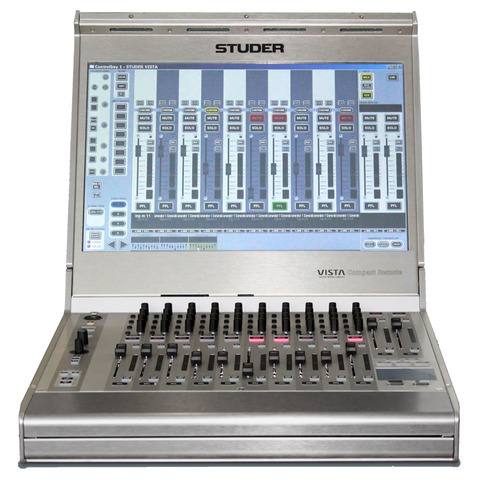 It provides full control and monitoring functionality and can be used with all types of Vista consoles, including the brand-new, all-in-one Vista 1, running software V4.8 and up. 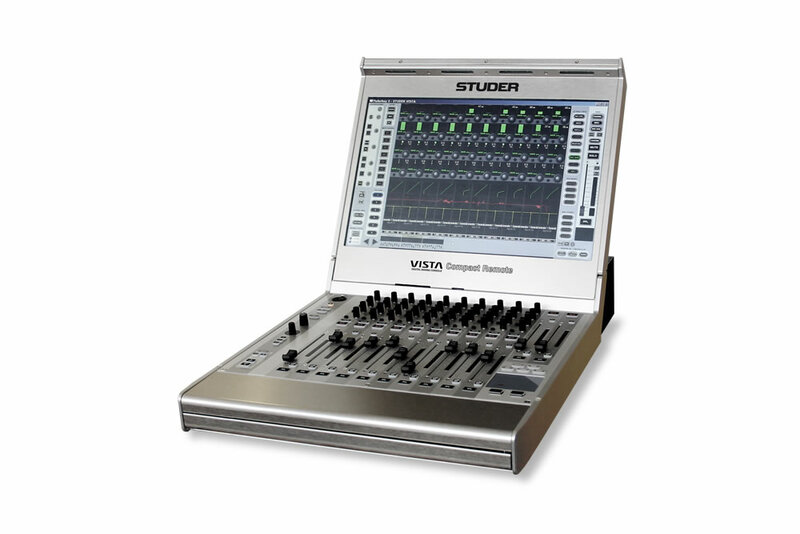 In addition it may also be used as a completely stand-alone controller for the Vista's DSP and I/O should the control surface not be available. The new unit is foldable, similar to a laptop computer. 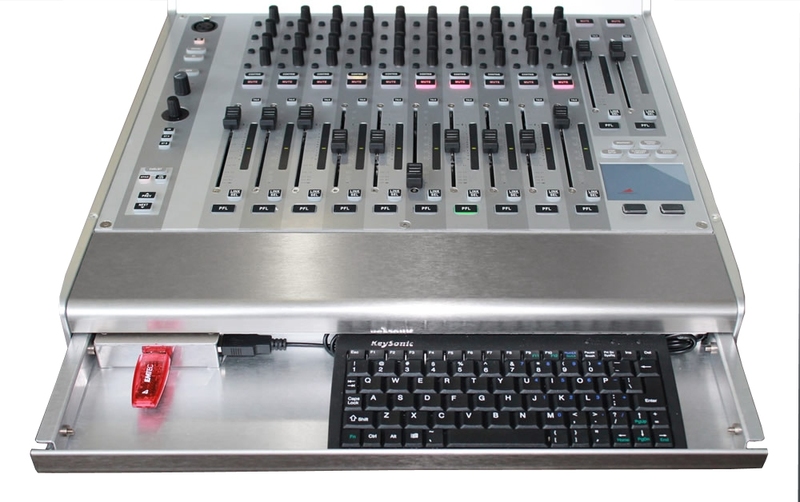 It consists of a control surface section with 12 high-quality, motorised Penny&Giles faders, 40 channel rotary controls, a touch pad and a slide-in keyboard. 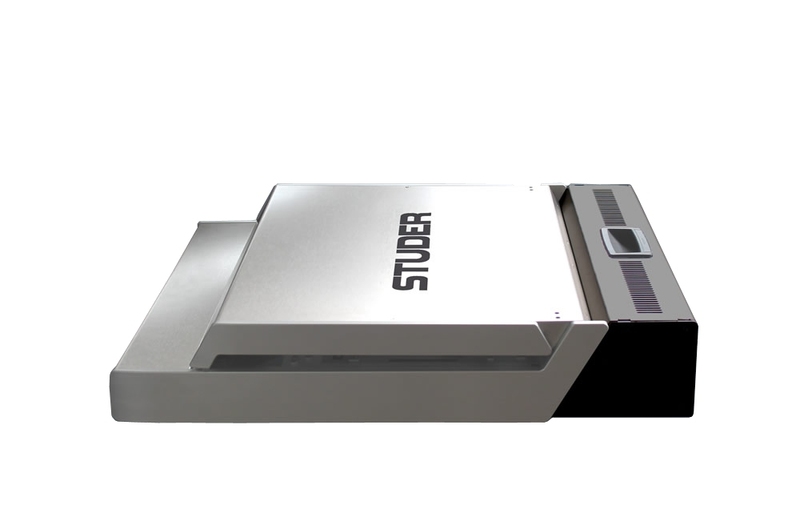 The 19" touch screen can be folded down, thus protecting both screen and control hardware during transport and, at the same time, considerably reducing the unit's size. • Remote fader box for OB Trucks. All navigation and control buttons available with the Virtual Vista application can be operated via the touch screen, instead of using a track ball or a mouse. The number of physical control elements is therefore reduced to the most important ones, such as faders, rotary controls, MUTE and PFL keys. In order to use the Compact Remote Bay as a redundant desk, it connects via a Cat5 cable to the AUX port of the D21m monitoring MADI card and is fed from there with split monitoring signals. 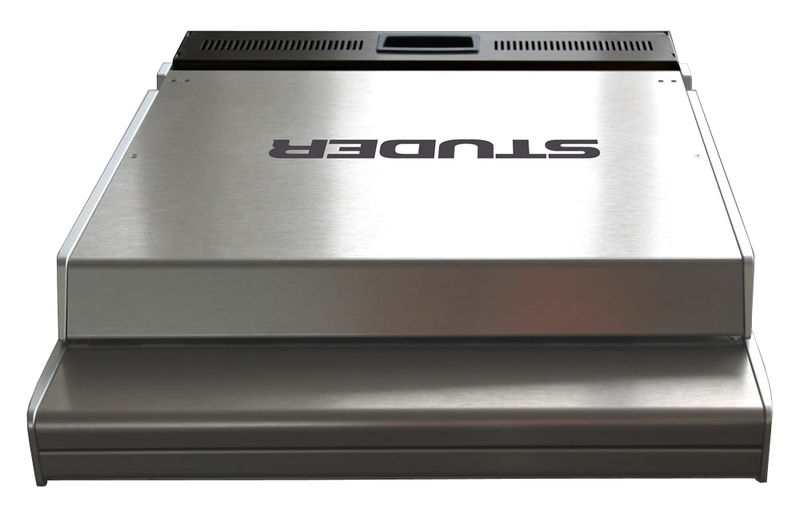 The analogue 5.1-channel control room monitoring signals are available on individual rear-panel XLR sockets. A headphone output is located on the rear panel. Two physical volume controls are available on the faceplate. One is dedicated to the headphone level, while the other is assignable to control room, studio A or studio B loudspeaker levels. A GUI monitoring page mirrors all monitoring controls of a real Vista desk (see above). This page is operated from the touch screen and can be called up by a physical key on the controller. For talkback, a gooseneck mic can be plugged into an XLR socket on the face plate. Its signal is fed through to an XLR socket at the rear. • 7 × XLR (5.1-channel monitoring and TB mic outputs).